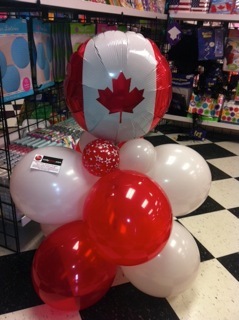 At Cody Party Centre, We Love Balloons!! There is no better way to make someone SMILE. 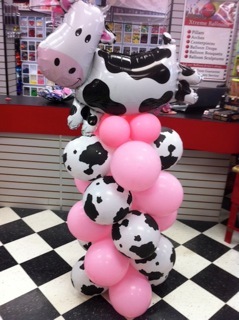 We are so serious about Balloons that we guarantee our latex balloons fly for 3 days. 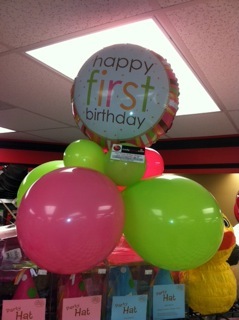 If your balloons do not look fabulous in three days, bring them back and we will make you a new bouquet. 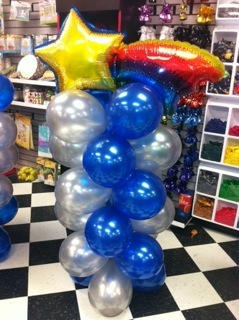 All of our Balloons are pre-stretched with air to help ensure that they shine and that they will not pop once they leave the store. We also add high float which helps add to the life and fly time to the balloon. 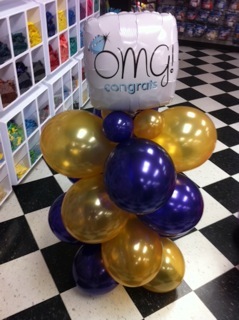 3 Ways to Enjoy our Balloons! 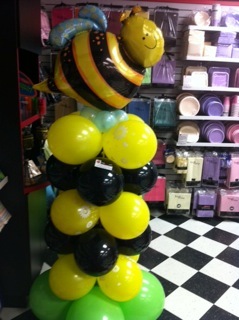 Drop into our Cody Party Store and in most cases we can prepare a balloon bouquet for you within a few minutes. We do suggest that you come in a few days prior to your event and place your order ahead of time. We will ensure that they are ready to go for the requested time. If you already know what you want, give us a call and place your order over the phone. 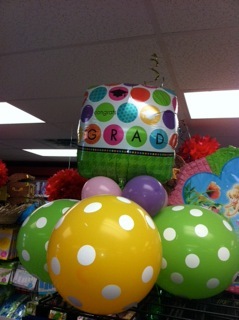 We will have your Balloons ready for the time that works best for you! 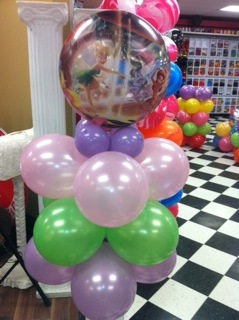 If you want to let someone know you care with a Balloon Bouquet, let us deliver them for you! 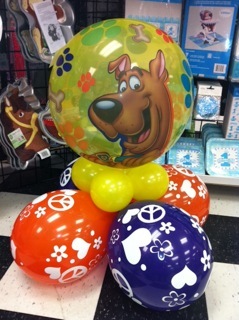 Come on in or give us a call to make arrangements.